In the field of physics, a Feshbach resonance, named after Herman Feshbach, is a feature of many-body systems in which a bound state is achieved if the coupling(s) between at least one internal degree of freedom and the reaction coordinates which lead to dissociation vanish. The opposite situation, when a bound state is not formed, is a shape resonance. The impact of ultracold atomic and molecular quantum gases on present day physics is linked to the extraordinary degree of control that such systems offer to investigate the fundamental behavior of quantum matter under various conditions. The interest goes beyond atomic and molecular physics, reaching far into other fields, such as condensed matter and few- and many-body physics. 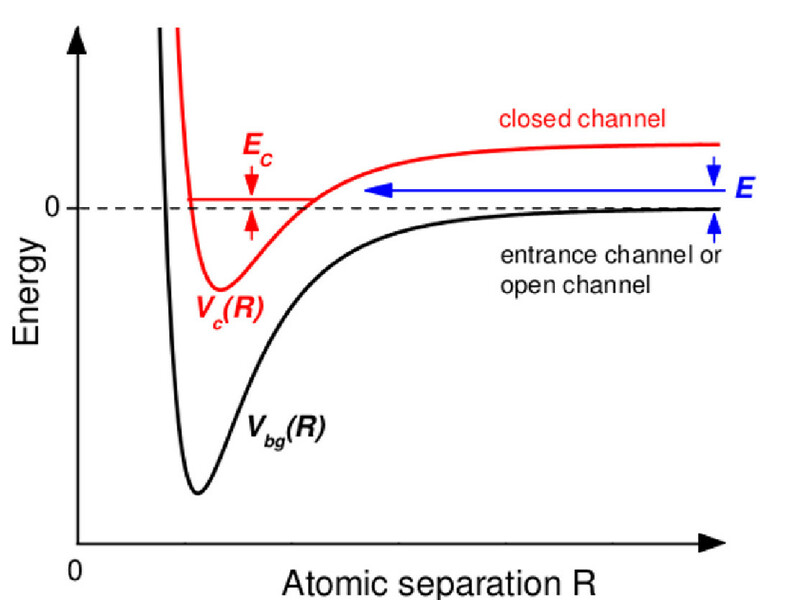 In all these applications, Feshbach resonances represent the essential tool to control the interaction between the atoms, which has been the key to many breakthroughs. I developed and investigated a two channel harmonic oscillator model of magnetically tuned Feshbach resonance. The main inspiration to study such model comes from the fact that any arbitrary potential when expanded using Taylor series about the equilibrium configuration, can be approximated by a harmonic oscillator potential for small displacements. This is an extension of the work reported here where C. Chin et al. develop an analytic square well model to calculate the atomic scattering length near a Feshbach resonance from data on the molecular binding energy. My thesis contains the rigorous treatment on Feshbach resonance and my work on the harmonic oscillator potential model. For summary, please see these slides.